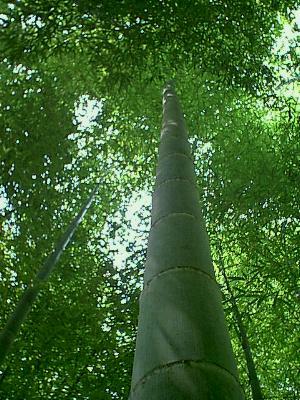 The Moso is a bamboo plant that grows in China and the Far East. After the Moso is planted, there is no visible sign of growth for up to five years - even under ideal conditions! 5 years later, as if by magic, the Moso suddenly begins to grow. It grows at a rate of nearly 2 1/2 feet per day, reaching a full height of 90 feet within 6 weeks. It's not magic! The Moso's rapid growth is due to the miles of roots it develops during the first five years of getting ready. Remember, even if there is no visible change as you prepare for whatever it is in life, your roots are still growing and developing beneath the surface, deep within, getting you ready to move forward. i'd love your words so much.